Most adults need eight hours of sleep each night. You may need a bit more or less. A good night’s sleep is important for a healthier body and mind. Here are a few tips to help you get a restful night’s sleep. Always follow a regular sleep schedule even during weekends - we must maintain a regular schedule for getting up and going to sleep, whether it would be weekdays or weekends. If you achieve a regular routine for sleeping, it will make you feel better and eventually, you will refrain from napping too much during the early evenings or late afternoons. This is usually the foremost factor why older people find it hard to fall asleep when it is time for doing so. Do not over eat before sleep and finish eating least 2-3 hours before bed. You will feel less comfortable if you eat right before bed or having heavy meal before bedtime. It will cause indigestion and affect your sleep. 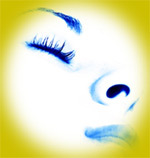 A basic need of the human body, sleep is also a basic need of the human mind. If we don't get enough sleep, our bodies and minds can't function properly and it becomes difficult to achieve our goals that we have set to do. During sleep, our bodies take time to rejuvenate, and our minds take time to work through problems, to explore themselves and to rest. These activities are essential for your health and well-being.